Can a felon become a nurse? Short Answer: Some felons have become nurses while others have been turned down. As with many instances involving felons, the answer can be complicated…but “in general,” It’s somewhat possible for felon can become a nurse five years after the completion of their sentence (which includes parole, if that was part of the sentence). Like anyone, felons often have a sense of compassion and a desire to help others. For this reason, a felon may wish to pursue a career in nursing, where they can actively aid sick and injured persons on a daily basis, providing care to those who need it. But can a felon become a nurse? Are there any restrictions? We’ll look into the issue in this article as we have with many other jobs for felons. But first, why should someone become a nurse in the first place? Is it a good career option? Yes! Nurses are in high demand, and not just for “bedside care.” There are leadership and management jobs, jobs pertaining to patient advocacy, even jobs specifically dealing with education. Whatever nursing career path one takes, it is sure to contribute to the greater good, as more and more people live longer and thus spend more years in need of proper medical attention. The National Council of State Boards of Nursing (NCSBN) is a great resource for finding more information about nursing. Obviously if you weren’t a nurse before you were convicted, you’ll need to obtain the proper nursing degree before you can actual work as a nurse. As mentioned above, there are a variety of positions and thus a variety of nursing degrees. But most nursing programs will offer a classroom component in addition to actual in-hospital experience where you’ll get exposed to the real world behind-the-scenes of life as a nurse. There’s a lot more to it than most people realize! 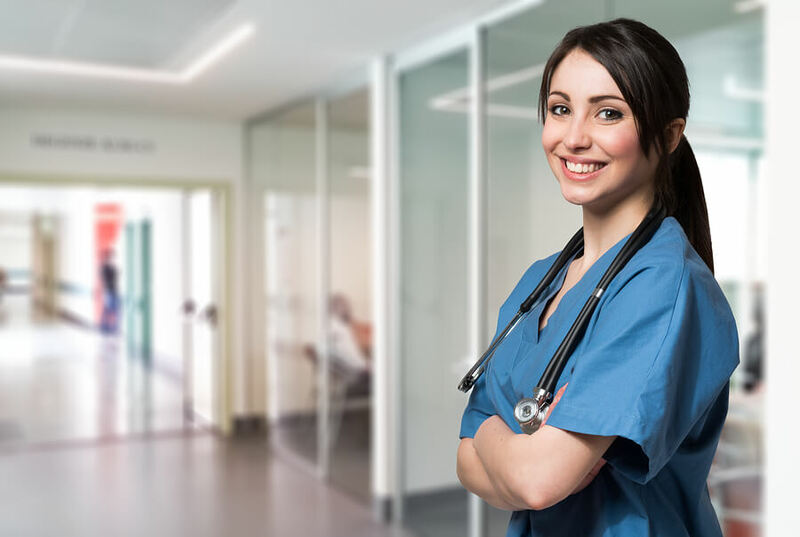 That is why even after you get your specific nursing degree, there is always room to grow and advance, especially for those who are motivated to learn new approaches and are willing to dedicate themselves to continuing their education. Of course the benefit to this is an ever-increasing salary! Okay, so–can a felon become a nurse? Licensed nurses work directly with “vulnerable populations.” Kids, elderly citizens, disabled persons, and of course very sick persons. A convicted felon may not seem, at first impression, to be the ideal candidate for attending to such vulnerable people. But that’s the thing with felons; they aren’t all cut from the same mold. Many sincerely do want–and have the capacity to–help others…if they are allowed. Plain and simple: some felons can be nurses, some will never get that chance. As with many instances involving felons, the answer can be complicated…but “in general,” yes, a felon can apply to be a nurse five years after the completion of their sentence (which includes parole, if that was part of the sentence). That said, there are cases when an applicant’s package may be less than desirable. Clearly a nurse, being a person who is directly responsible for the health and well-being of an at-risk individual, bears an enormous moral responsibility. And clearly not all, but many felons have proven themselves to have a certain lack of moral responsibility…which is why, for instance, if a felon exhibited “criminal behavior whether violent or non-violent, directed against persons, property, or public order and decency,” then that candidate is going to be scrutinized very hard. Indeed having such a criminal history is “highly relevant to an individual’s fitness to practice nursing.” In other words, it doesn’t exactly help your chances of procuring a nursing license. Is that it? No. Nurse applicants involved in the “delivery, possession, manufacture, or use of, or dispensing or prescribing a controlled substance, dangerous drug, or mood-altering substance” may also have a very hard time, as will any applicants with a pair of DWI/DUI convictions on file. But like we said, it can be complicated and sometimes that is a good thing. Sometimes having a bad case of moral turpitude in your past doesn’t means the answer will be a blanket “no,” but rather a “let’s evaluate the person’s character and background and make a determination based on that.” So the evaluating state board or school is going to review everyone case by case. They’ll do a background check, often through the FBI. They’ll look at the crime, the situation around it, your age at the time, the length of time since the conviction, and even whether or not being a nurse might in any way cause you to potentially commit another related crime or potentially put a patient at risk in some way. But as we said, it is case-by-case. So let’s see how we can improve the odds! Eligible to have your felony record wiped clean? Becoming a nurse with a clean record will make your career journey much easier and hassle free. Find out if you may be eligible to have your record expunged or sealed. A criminal background doesn’t help you, but the nursing school or state board will also look at your rehabilitation efforts. Remember that it is very important to be honest on any nursing school application or nursing job application. They will find everything out! What have you done to improve yourself, and can you prove it? Is there any “evidence of the person’s present fitness, including letters of recommendation from: prosecutors and law enforcement and correctional officers who prosecuted, arrested, or had custodial responsibility for the person; the sheriff or chief of police in the community where the person resides; and any other persons in contact with the convicted person.” If you can provide such things, you’ll greatly improve our odds! If you can’t provide them, you should get to work on obtaining those things! Naturally if you have had your felony conviction expunged, you want to make that very clear to the board. Don’t assume that your expungement is going to show up; find out for yourself and include the evidence in your package. If it hasn’t been expunged, you can research the process and consider beginning that prior to applying to be a nurse. It is advisable for you to request your own FBI criminal background check. Do this a few months prior to your application so you can see exactly what the board is going to see, and thus be ready for their questions and concerns. To make the request, just submit their cover letter with your signature, fingerprints (on an accepted fingerprint card, which you can probably have done at the local police station), and pay the fee. It isn’t too much trouble, and it’ll be worth it to get your hands on your own FBI file! Once you have that, you’ll want to also gather evidence of your case’s outcome, so you can prove your status to the board. Obviously nurses are privy to very sensitive patient health information, and so that’s another reason the board wants to see proof of your honesty and ethical nature. Anything you can do to improve your image will help your chances. If you have a criminal background, you should be able to demonstrate your trustworthiness in order to meet your school’s criteria for admission. It is possible to receive an approval but with caveats. For example, you may get a restricted or probationary license which “prevent you from working in certain health care settings, such as group homes for the disabled or nursing homes.” But it is better than nothing! We hope this article helps motivate you to pursue your dreams of becoming a nurse and has answered the question “can a felon become a nurse?” And for those of you who are interested in studying to become a doctor instead, we’ll address that very topic in an upcoming article. As you can imagine, a felon who wishes to become a doctor will face many of the exact same challenges and issues as one who wants to be a nurse!